26 Mar 2019 Washington, D.C. The Special Counsel completed his investigation last week, and submitted a final report to Attorney General Bill Barr. In a Sunday letter to Judiciary Committee leaders in both the House and Senate summarizing Mueller’s findings, Barr revealed that Mueller has cleared Trump on collusion—finding that Trump and his campaign did not conspire with the Russians to interfere in the 2016 presidential election and that no other Americans did either. Mueller also revealed that he did not find enough evidence to charge Trump with obstruction of justice, and Barr confirmed that the president will not be charged in that regard. For now, the full Mueller report is not yet public—and Paul said he intends to object to its full release until such time as all the documents regarding the Obama administration’s abuse of power to start this “hoax” investigation are also released. 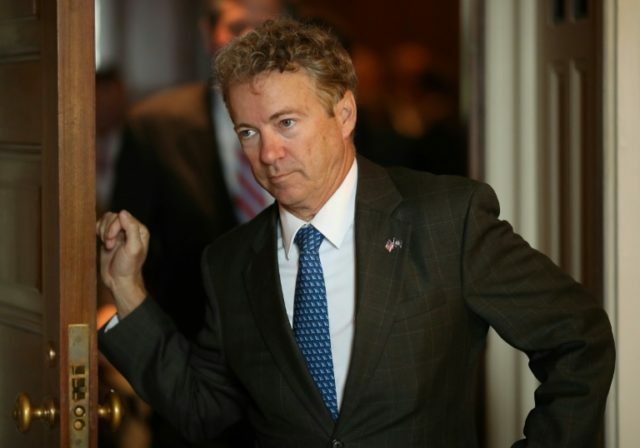 This is the first part of a lengthy interview with Sen. Paul on Spygate in the wake of the Mueller probe clearing President Trump on all matters. More is forthcoming soon.